First of all you need to navigate to the desktop if you are in Metro view, do this by clicking on the “Desktop” application. 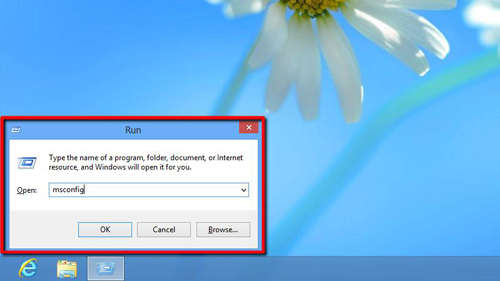 Now you need to open the “Run” command window, to do this press “Windows Button” and “R” on the keyboard. In the box in this window type “msconfig” and click the “OK” button. This will open the “System Configuration” window. In the tabs at the top of this you need to click “Boot”. 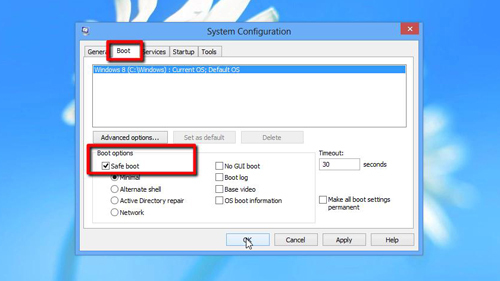 Under “Boot options” check the box to the left of “Safe boot”. Click “OK”. A dialog box will appear asking whether you want to restart your computer, click the “Restart” button and the computer will begin to shutdown. This is how to boot windows 8 in safe mode and you need to wait for the machine to start up again. Log-in, and you will see that it has successfully booted into safe mode.